Available Color Black, White, Blue, Red etc. We are offering Aerosol Cap. 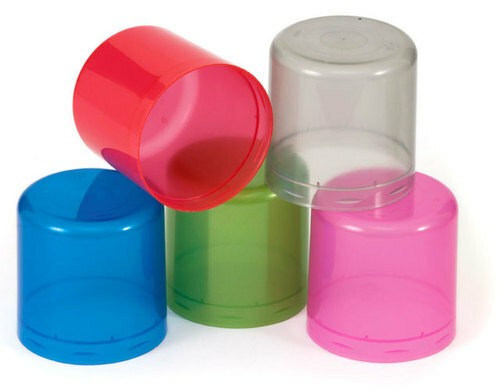 Since 1993, we have been reigning the industry of home supplies with a variegated range of Cream Jars, Bottles, Caps, Compact Cases and Containers. Furthermore, we also offer a product line, which is entirely different from the prior ones, comprising Hair Dye Brush, Shaving Brush, Aerosol Cap, Plastic Jar and more. Fabricated using high grade raw material, all our products have won immense appreciation from the clients for their striking attributes. For the fabrication of diversified products, we have installed the most apt facilities at our infrastructure base. Advanced machines and equipment we make use of helps us in manufacturing optimal quality products and undertaking the bulk requirements of our clients. The functioning of this infrastructure set-up is the sole responsibility of our team members, who hold enough experience and in-depth knowledge of the domain. They utilize their skills and expertise for developing the products in different sizes, colors and shapes, in accordance with the specifications prescribed by the clients. It is owing to the hard work of our professionals that we are able to deliver orders to the clients within the stipulated time frame.